After being killed by the Channard Cenobite, he became trapped in the Pillar of Souls. He was brought back without his human side by JP’s blood and was released from the Pillar after killing Sandy and JP. 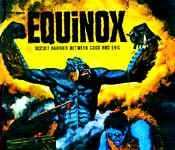 Free of Hell’s laws and his human side, he wanted to take over Earth with his hell-given powers. She was made into a Cenobite by Pinhead. 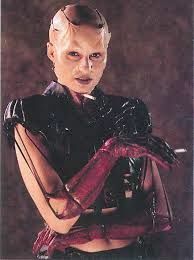 As a Cenobite, she has a cigarette coming out of a neck wound and the skin of her hands peeled back. Cameraman for Channel 8 and Joey’s friend. 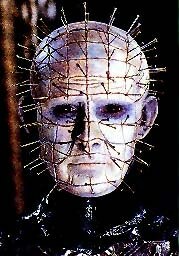 He died in the Boiler Room Massacre when Pinhead cut off his head. He was turned into the Cenobite Camerahead. As a Cenobite, he has a camera lens where his right eye should be and can broadcast images to nearby TVs. Bartender at the Boiler Room. 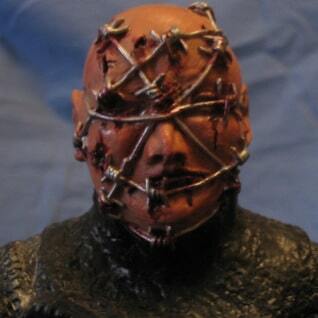 He was turned into the Cenobite Barbie by Pinhead. 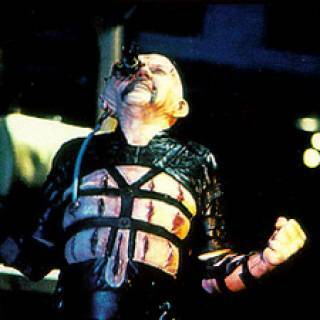 As a Cenobite, he has barbed wire wrapped around his body and face, and he carries a glass and mixer filled with gasoline. He breathes fire, which ignites the gasoline. His eyes are shut and he is mute. 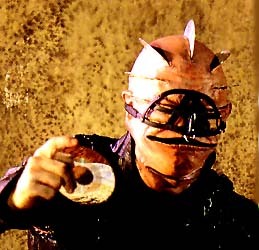 A victim of the Boiler Room Massacre, the Boiler Room DJ was turned into a Cenobite by Pinhead. He has five CDs in his head and one in his neck. He’s mute and throws CDs that come out of his chest as weapons. After the ER patient stole the Box from the Pillar, here was a hole in it. JP stuck his hand into the hole and was bitten by a rat. His spilled blood on the Pillar reawakened Pinhead. He decided to help Pinhead escape the Pillar after Pinhead absorbed Sandy. 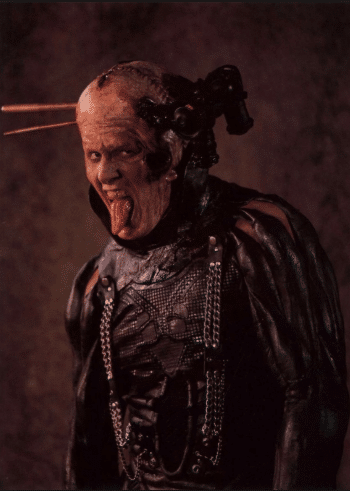 He tried to give him Terri, but Pinhead took him instead and made him into a Cenobite with a piston pumping through its head.